1:Cotton tubular bandage are length of close weave stretchy cotton used to support different limbs.The widths are for different limb size and tubular bandage comes in either 1m or 10m length. 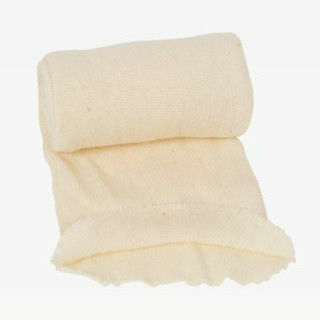 2:The dimensions used are the flat width of the tubular bandage when lying on a flat surface.Where pain and inflammation occur the use of compression reduces swelling. 3:It can compression the area and disseminates the fluids causing swelling. 4:Basides the above specifications,we can also produce other specifications accroding the samples and the customer requirement.